Marrakech is an amazing and relatively very safe city compared with London, Paris, New York etc. Common sense is the new visitors biggest asset. 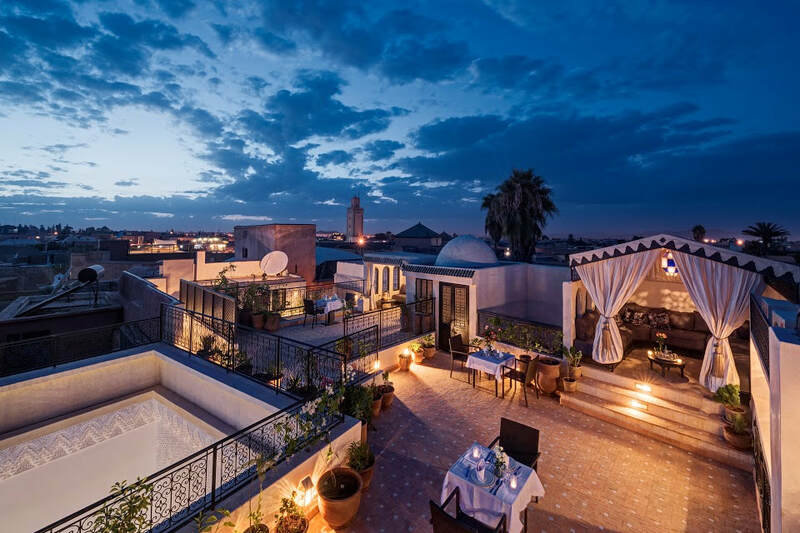 The location of our Riads means you will be in the centre of the Medina and within a 10 minute walk of the 'Big Square' or 'Place J'ma El F'na'. So be prepared for walking down narrow cobbled streets. The narrow streets of the Medina may seem chaotic but there is some 'method to the madness'. Pedestrians generally keep to the right (unless they are seeking shade) leaving wheeled vehicles to whiz down the middle. Walking slowly down the middle of the road while reading a map is therefore generally a bad idea! 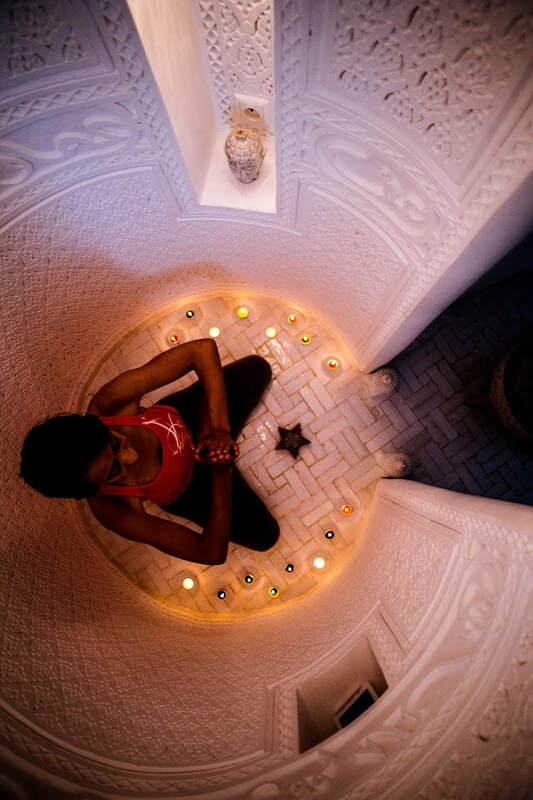 Heres a few top tips that may help your stay in Marrakech! - We suggest taking a small bum bag/ clutch bag with secure zips if you are venturing out of the Riad and into the Medina. This way you can keep all your money safe and have easy to access when you are bartering for your souvenirs! - Bring some protective and comfy shoes as well as a pair of slip ons/flip flops to lounge in. - Brush up and learn about any bartering/haggling tips. Locals love people new to Marrakech to get immersed in the culture and haggle to a price with them, its their way of earning a living so they are ready to push you for a sale! Download the 'MarrakechRiad' app for top tips on haggling! - Bring suncream and a sunhat/ cap-even in winter the sun can catch people unawares and you don't want to go home with a bright red (and sore) body. -Bring warm jumpers/joggers for morning mediation/ yoga on the rooftop and at nightime. It can be quite chilly so its good to wrap up with lighter layers underneath. There are usually some nice warm cloaks that can be borrowed from the riad. - When you are out and about there will be people offering (or insisting!) to take you to the square. Generally if you are you are in the medina you are no further than a 10 minute walk in any direction from the main square. Usually they will take you the longest possible route through many streets and make you think it was ages away in fact you are just round the corner. Then they will ask (demand!) for some money in return afterwards. To avoid this situation simply ignore them completely (best) or if you cant seem to ignore them (due to your Britishness or politeness) then tell them no thanks and keep walking to avoid them communicating with you anymore. If they persist then don't worry. Just keep ignoring and don't engage no matter what they say. Do not believe a word they say-some are honest but you don't know which ones! Their favorite misleading phrases are: 'It's forbidden-it's a sacred street!' -But its not! ; It's Clowzed (ie its closed) -But its not; It's market day. You must go this way! But its not! ; This way for Big Square-But its not! ; Last day of Berber Market everything half price-But there is no Berber Market and so they will never take you there! If you somehow do (in spite of all this advice!) get hooked by these naughty boys then the best thing to do is to completely ignore them and do not let them think that they are taking you anywhere. Do NOT talk to them under any circumstances-they will try small talk/ flattery/ asking for help begging etc. etc. DO NOT let these silly (but very clever, manipulative and skilled)teenagers or young men spoil your lovely day! If you DO need help then use a mobile phone or ask a shop keeper who does not have a group of young men around his shop waiting to be your 'guide'. - Lastly as mentioned earlier, Riad Star has an incredibly useful and informative free app which gives you all the information you may need while walking around the medina. Simply download 'MarrakechRiad Travel Guide & map' on your iPhone or android phone. It even has an offline map which can navigate you to the square and to any places of interest you may have all through GPRS. (Amazing I know!) If you forget to download it before you arrive then the guys at the Riad Star will do this for you. 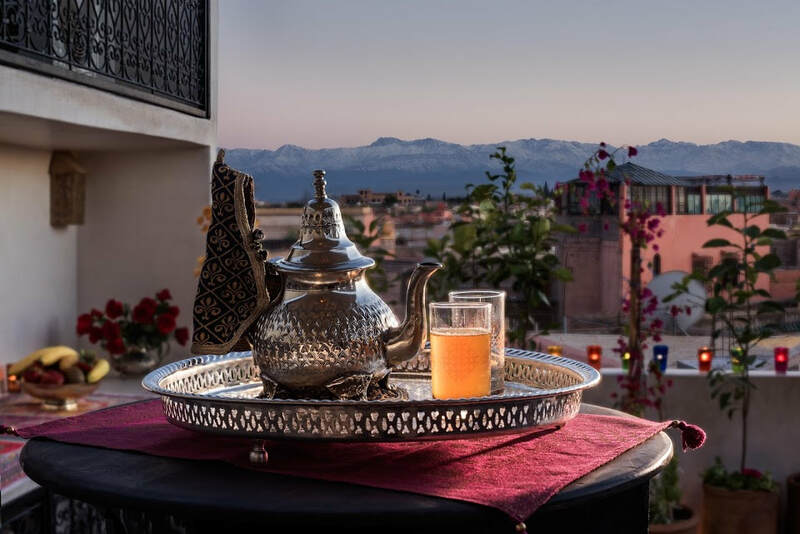 We hope this page has managed to answer a few queries you may have and give you a little more of an insight to what you may need to bring/expect of the amazing city of Marrakech!